Few steps to send the max stay to your portals! The Max Stay is the feature complementary to the Min Stay: your guests will not be able to book the room for more days than those you set! 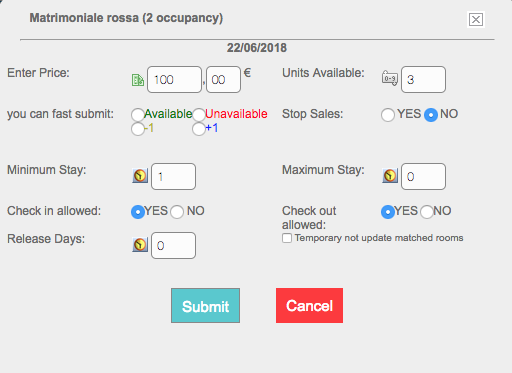 For example: if you set the maximum stay for the Apartment Sea View at 15 days starting from June 22nd, it will not be possible to book it for a longer period. Insert the desired value in the box Maximum stay and click on Submit.